Home » Guide » VIN Number » What is a Stolen VIN? What is a Stolen VIN? First, what is a VIN? A VIN is the car’s vehicle identification number composed of seventeen (17) alphanumeric characters (letters and numbers). It is commonly described as a vehicle’s DNA or fingerprint. It is what sets it apart from all the others of the same class—it gives “personal” identification to a car. It is also used to trace it to its “mother ship” or the factory where it came from. It can be usually found on a car’s dashboard and the driver-side door panel, where you can also find the ideal tire pressure for your car’s tires. A stolen car is different from a stolen VIN. It might be a little confusing since VIN and VIN checks are usually related to stolen cars and are performed to find out if a car was the subject of a theft and its history. A stolen VIN works like this: you have your vehicle in your possession along with its papers; a VIN thief duplicates the VIN of your car by registering it on another vehicle. The other vehicle is usually a stolen or totaled car, or an exported car or a restored car used in a different state. The danger here is that a person in possession of your vehicle’s VIN can have duplicates made of your keys and register multiple vehicles with the same VIN. It is believed that VIN thieves usually acquire VIN at the point of import—they go to the port and check out vehicle dashboards and write them down. Another potential danger is when a VIN is duplicated and used for chattel mortgage purposes. This is especially worrisome if the cars are of the same makes and models. A lien may be created by the VIN thief over his car using your VIN. If there is a foreclosure against the VIN thief, your car might get involved. After all, VIN thefts are more of paperwork than the actual physical car. The original car’s description may be used by a VIN thief for the purpose of using it as a collateral for some loan or debt. If your car matches the description, it might be impounded depending on the issue in which your car’s VIN is involved. 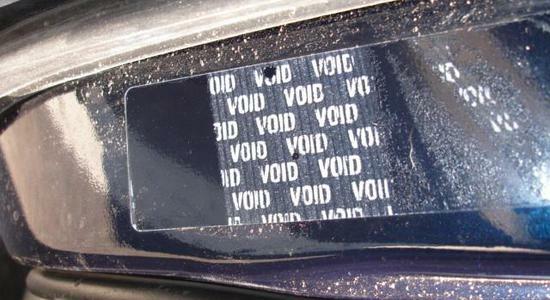 DMV in different states do not share databases so it is possible that a stolen VIN can be used on several different cars in several different states. There is even a possibility that even before an imported car has been released from customs its VIN has been copied and used by another, way before the original car is even registered. There is almost no way of checking it out especially if the stolen VIN is registered in a different state from the original car’s VIN. A helpful solution to avoiding VIN thefts would be to register the car immediately, especially when it has been imported. A VIN check can also be informative about a car’s history and provide you with details to help you check if the car you are about to buy has been involved in something fishy.